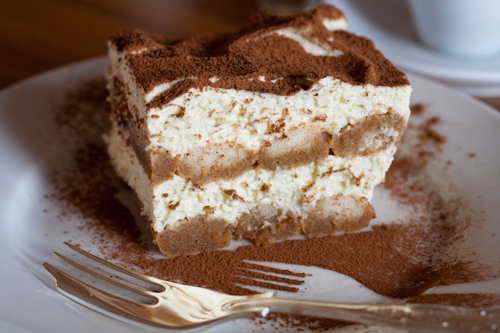 Traditional Tiramisu — What the Fruitcake?! I have three other Tiramisu recipes on my site, and in all of them I've mentioned how it's my favourite dessert. I still stick to that statement! If there's Tiramisu on the menu, that's what I'm having, simple as that! In those other Tiramisu recipes I'd also mentioned that I would one day post my favourite classic Tiramisu recipe. And here it is at long last! Sweet mascarpone, cream and egg layers. 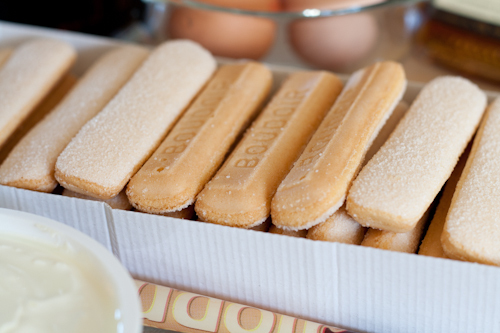 Light and airy boudoir biscuits dipped in strong coffee with a hint of brandy. A generous dusting of cocoa on top. Luxurious deliciousness with an adult taste! Don't tell my hubby but I first had this particular Tiramisu at an old boyfriend's house ;) I begged him to get the recipe from his mom for me, it took a while but I eventually got it out of him, lol! (Why? I had the nerve to ask for it months after we'd broken up *blush* Yes, it was that good!) Turns out I found the exact recipe in a recipe book at Woolworth's (M&S) in SA. Oops? I don't care, it's a brilliant recipe. 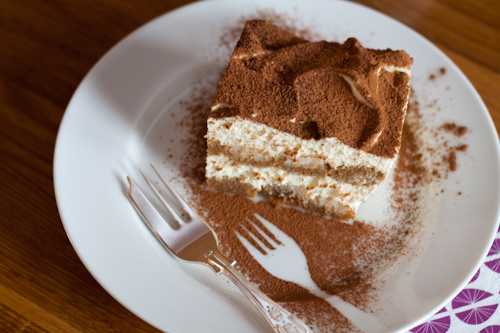 As much as I love the Baileys, Frangelico & "Blue Rinse" Tiramisu that I've posted, there's something about a traditional Tiramisu that has me swooning. Don't get me wrong, I'm all for mixing things up a little bit and I'll definitely be making other variations in the future, but I really do enjoy a classic. 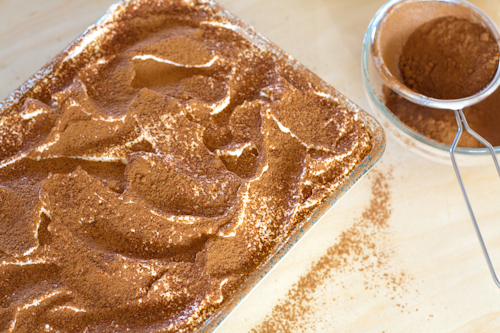 This recipe is made using raw eggs, which is one of the traditional ways (there are a few methods), so if you're not happy about raw eggs in desserts and want to make a classic Tiramisu, use the method for the Frangelico Tiramisu recipe but stick to the classic flavours in this recipe by just using brandy and coffee. You could also do a mix between this raw egg recipe and the Frangelico recipe that uses a zabaglione which cooks the egg yolk. 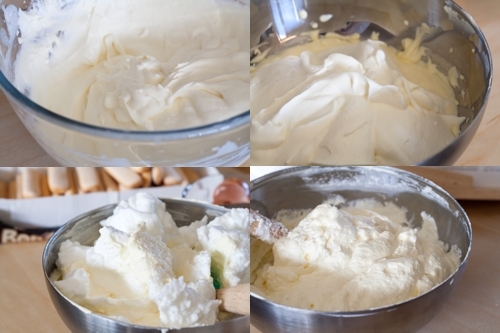 Make the zabaglione from the Frangelico Tiramisu recipe to mix into a mixture using pasteurised egg whites which you can find in the fridge section of your grocery store. 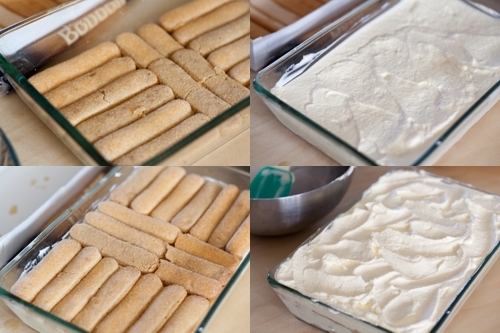 I believe using beaten egg whites definitely makes the tiramisu more light and fluffy. If you're wondering why there seem to be so many methods for making this classic, it seems that the history of Tiramisu is a bit of a mystery. In the various searches that I've done I've come to the conclusion that there is too little known about the history of this dessert and that there are far too many theories about the origins and what the "correct" or original method is. In a case like this, I just go with what gives the best result, and in my opinion, the method in this recipe really does make such a delicious dessert. 3-4 Tbsp Brandy or Cognac, depending on how strong you like it! 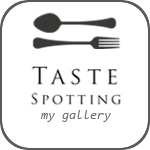 Posted on March 22, 2011 by Mandy Mortimer and filed under Not Baked, Sweet and tagged Boudoir Brandy Classic Cocoa Coffee Cognac Egg Finger Biscuits Italian Mascarpone Savaiordi Tiramisu.